For a complete style overhaul, head to Joburg and spend the day with a professional personal shopper! 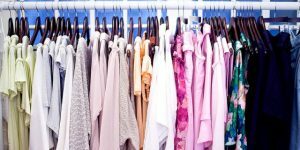 For some people, clothes shopping is a necessary undertaking that brings little enjoyment, whereas some people love to go shopping but simply don't know what suits them. 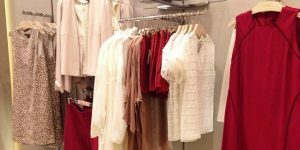 With this full day personal shopping experience in Johannesburg, you can bring the joy back to buying clothes with the expert help of a professional - and emerge a new you! Whether you've got a big event coming up, want to completely overhaul your wardrobe, or just want some advice on styling, this personal shopping experience is sure to help you get the results you want. Joining a professional stylist in Johannesburg, you'll journey round Sandton City Shopping Centre visiting various boutiques and retail stores, learning how to shop for your body and budget. A hefty price tag doesn't always equate to quality, so during the six hour session you'll discover how to shop smart and hopefully pick up some great pieces that you'll cherish for years to come. Now go shop till you drop! The Full Day Personal Shopping Experience in Gauteng makes a fantastic gift for men and women, guaranteed to make you see clothes shopping in a whole new light. Discover a new and confident you this year! This is a full day six hour personal shopping experience. Participants: The Full Day Personal Shopping Experience in Gauteng is for 1 participant.